Tasting characteristics Appearance: deep garnet red. Bouquet: ethereal, featuring spicy, tobacco and brushwood notes; there are also important mineral notes. 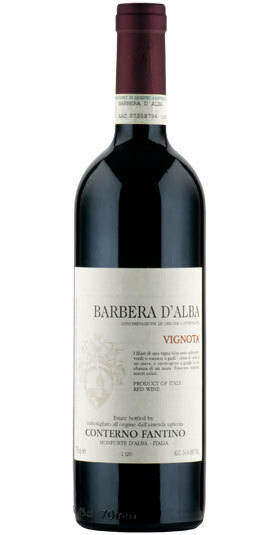 Flavour: classic and nicely harmonious wine, tannic when young and with considerable ageing potential, making it an unmistakable “Nebbiolo of Serralunga”. It is best to decant and serve it at temperatures between 18-20°C. An important wine, it encapsulates all the history of our land and fully expresses its talents when served with rich dishes, such as roast red meats or game stew. It is also excellent with medium-mature and mature cheeses. Vineyard. Alcohol content: 13.5-14% vol., depending on the vintage. Appellation: Municipality of Barolo, Castellero vineyard. Vineyard planted in 1978 and 1991; organic farming. Vinification: soft crushing of the grapes with de-stemming; static fermentation in oak casks with indigenous yeasts selected from our vineyards; maceration for about 30 days, frequent basting of the skins. Organoleptic characteristics Color: garnet red with orange hues. Nose: ethereal, mineral, hints of ripe red fruit, dried rose and underwood. Mouth: dry, sapid and velvety; rich in elegant tannins of ripe fruit. Tradition makes history alive: a philosophy that has allowed the Azienda Vinicola Palladino to sell its bottles mainly in the international market. A history of wine and life that is very relevant, testified by the private small museum set in an old room renovated in the early nineties, under the cellar. In this room you can find all agricultural and enological equipment used in the past decades: a blast from the past to remember the strong link between wine and territory. A blue veined wall of that room seems to tell about the work in the vineyard. VINEYARD: Nebbiolo 100%. Subvarietal: Lampia, Michet. SOIL COMPOSITION: Calcareous clay. EXPOSURE: South. MICROCLIMATE: Fairly temperate. TOTAL SURFACE AREA: 0,67 ha. YEALD/Ha: 7.000 kg/ha. COLOUR: Ruby red with purple and garnet reflections. AROMA:Slight scent of black raspberries and cherries with a background of vanilla. Ethereal with good structure. 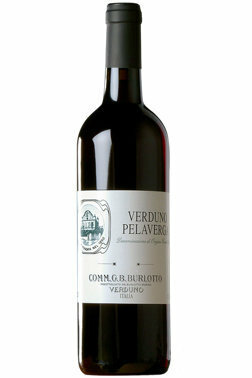 TASTE: Full-bodied, austere and concentrated with a good balance of acidity and tannin. FOOD AFFINITY: Braised or roasted meats, wild game, seasoned and strong cheeses. 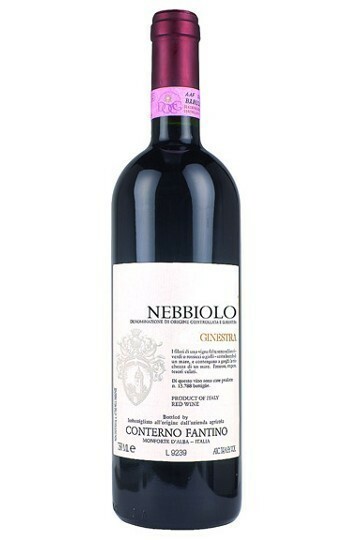 To be decanted and served at a temperature of 20° C.
VINEYARD: Nebbiolo 100%. Subvarietal: Lampia, Michet. SOIL COMPOSITION: Calcareous clay. EXPOSURE: South/SouthEast. MICROCLIMATE: Fairly teperate. TOTAL SURFACE AREA: 0,67 ha. YEALD/Ha: 7.000 kg/ha. AROMA:Pleasant, intense and ethereal, of black cherry fruit, cedar fruitcake, dried herbs, licorice, and hints of new oak. TASTE: Impressions of black cherry, citron, fruit tarte. Vinification: Traditional method of fermentation of the grapes in contact with the skins, without added yeasts, for around 10-12 days in stainless steel tanks. Ageing: six months stainless still stell and six months in Slavonian oak casks, with maturation in the bottle. Tasting notes: The color is a deep ruby red with garnet reflections and an intense and fruity bouquet of plum and cherry. The flavor is dry with good body, well balanced tannins and harmonious with hints of liquorice, rose and gudron. Vinification: Traditional method of long maceration: natural fermentation without added yeasts for 40 days in stainless steel tanks. Ageing: 6 months in stainless steel tanks, 30 months in large capacity Slavonian oak casks (35-50 hl) and a successive maturation in the bottle. Tasting notes: The color is a deep garnet red with ruby reflections, with a bright and lively aspect.The scent is complex and rich with fruit, floral scents, spices, underbrush and plums. 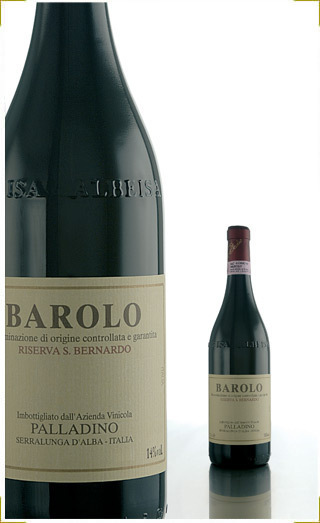 It has an intense flavor with sweet tannins and a long aftertaste.The BaroloVillero expresses itself with its characteristic stimulating scent accompanied by a dry, but warm and elegant flavor which it retains for a long time. The wine is made from hand-picked fruit from young vines in the Prapò, Cerretta and Lazzarito vineyards.The wine spends about 20 days in contact with the skins during and after the alcoholic fermentation, the classic winemaking method in our area. After vinification the wine spends about two years in used medium-sized oak barrels of 700L capacity, after which the wine is aged in the bottle for 15-18 months before release. This wine is made from hand-picked fruit from young vines in the Prapò, Ceretta and Lazzarito vineyards. Tasting notes:brilliant garnet red; aroma of strawberry, cherry, red fruits, pomegranate, rose, violet and licorice. The wine is elegant, powerful, precise and clear in the mouth, thearomasrepeating on the palate.Serving suggestions:roast duck and leg of lamb. Tasting notes:brilliant garnet red; aroma of strawberry, cherry,red fruits, pomegranate, rose, violet and licorice. The wine is elegant,powerful, precise and clear in the mouth, the aromas repeating on the palate. Total surface area: 6 hectares. Yield per hectare: 6 tonnes. Alcohol content: 13.5-14% by vol., depending on the vintage. lasting about 15 days at temperatures which vary from 31 to 33° C; the wine is aged in large oak barrels for at least 30 months and is left to mature in bottles placed in special dark, cool cellars for just over a year. Grape varietal: Nebbiolo Exposure: south, southeast Soil: calcareous clayey Harvest time: mid-October Vinification: maceration on the skins for 10 days, alcoholic fermentation in steel tanks at controlled temperature, malolactic fermentation and ageing in French oak barriques for 18 months. Further ageing in the bottle for 4 months. 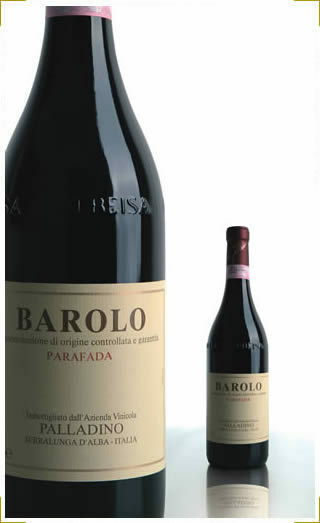 Wine lifetime: over 25 years Bottles produced: 2760 and 50 Magnum (2010 year) Sensory characteristics: garnet red colour with ruby red reflections. 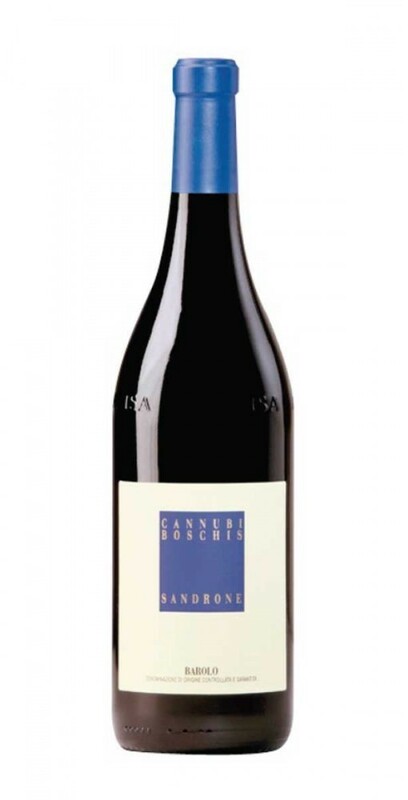 Rich and balanced bouquet of ripe fruits and liquorice. An elegant wine with a smooth palate, velvety tannins and a very long finish. Kind of wine: red. Grape variety: 100% nebbiolo. Production: 22.000 bottles, 1.000 magnums. Vineyard surface and its productivity: 5,50 ha in Ginestra Cru area; 50 hundred kilograms per hectare. Average age of the vines: older vines planted from 1965 to 1970. Harvest time: from October onwards, manual harvest. Vinification: maceration on the skins in rotor fermentor for 20-30 days. Barrel program: 24 to 30 months in Frech oak barriques (80% new - 20% once used).